The effective distribution of created content is the second goal of a professional publisher or business owner, making consistent and scalable profits, is the first.And with Instagram, the possibilities are endless! Many publishers and influencers are now using Instagram tools, especially the Instagram Stories to channel the platform’s audiences through their sales funnel. However, advertising on Instagram can be as easy as an evening walk in the park, as long as you know your way around, you are willing to play by Instagram rules. Else you might get wound up in the middle of nowhere – and finding your way could cost you a fortune. Experienced publishers on Instagram understand that dynamism, interest-arousal, and consistency are crucial to growing a large Instagram audience and making them come back with even higher expectations – licking their chops for more! A single well-targeted Instagram post can make a huge difference between a hundred and a few thousand publication views. Business owners are becoming more aware of the fact that driving traffic to their website through Instagram can be a lot more rewarding than with other social networks like Twitter or even Facebook. However, its rewardstangle in hand with some technicalities, which aren’t so much of a problem if one understands how the platform operates. Little wonder experienced publishers on Instagram are motivated by the enormous possibilities the platform offers them in turning followers into readers. Instagram has evolved from being just another photo-sharing app into a marketing platform. 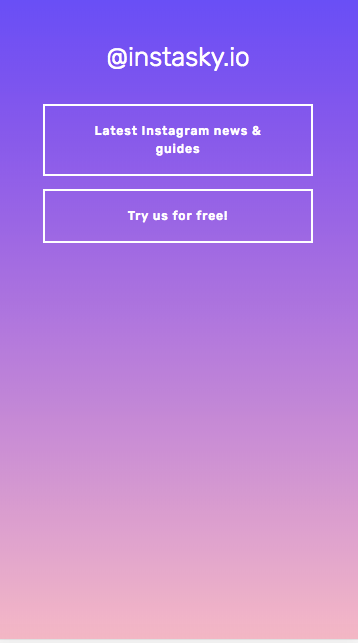 Moreover, the introduction of links in Instagram Stories and shop-able posts now makes it a lot easier for users to read blogs, news items, and visit websites – all within the Instagram mobile app. Perhaps you have wondered about how you can drive traffic to your business through Instagram. This guide will show you fundamental principles and proven methods with which you can drive traffic to your online content, as a publisher, whenever you choose. Finding your voice is an essential skill that will always come in handy in social media advertising. Choose a pattern – professional and businesslike, or casual with emojis, and stick with it! Instagram is usually on the more fun, conversational side of social media, so it will be great if you keep it light and natural. Of course, this decision comes down to the type of brand you’re trying to sell. What’s more important, however, is that your readers can hear your voice in all your posts. Trying to be someone you’re not will only drive your readers away. Invest some time into studying your reader stats (you can find this on issuu.com); their location, demography, and interests – to target the right audience on Instagram. As an example, if you find that most of your readers are resident in Britain, you can schedule your posts to go out when Brits are most active. Alternatively, if the majority of your readers are age 18 to 25, you can talk in a way that appeals to them. Using lots of emojis or memes could also help you get ahead. Do you have followers that have millions of Instagram followers? Tag them in your posts! Did you write an article about a celebrity? Tag the celebrity! Identifying online influencers — especially on Instagram, and making sure they see and share your content will help you grow your followers. It would help if you also came up with a unique hashtag, which can be as simple as the name of your publication and make sure it gets in front of your readers. As a rule of thumb, only use hashtag combinations that your audiences can quickly know what it stands for and can use it to follow the conversation about your publication or post. Let’s move on to discuss how you can apply these principles, as a business owner or publisher, and have the desired results. The power of consistency on Instagram cannot be overemphasized. Promoting your Instagram stories gets your content to a broader audience, who may not have noticed your regular posts. The beauty of the Instagram Stories, however, is that more audiences would be curious about your brand, product or service, and would check your wall to see your regular posts. This invariably means that you will be offering a better user experience for driving traffic to view your site’s content, since your followers can easily click to read the post, without leaving the Instagram app or looking for the link in your bio. When done correctly, driving traffic through Instagram stories and regular posts is a win-win, and a big trick for any publisher (or regular business) who wants to be around for a long time! Don’t take your Instagram captions for granted! The benefits that come with using the seemingly insignificant space to provide little snippets about your content isn’t an offer you want to pass up. To make this process easier, you may want to include a link to your site or another social media bio (e.g., LinkedIn) to drive traffic to numerous pieces of content; and direct readers to both their new and old material, without altering the link in your bio. So, when a follower clicks on the link in your bio, they’re taken to a mobile-optimized landing page that looks like their Instagram feed. They can now click on any of the images to find the content they’re looking for, enabling each Instagram post to have its own unique URL. Followers can also visit your business’ homepage by clicking on the “Visit Website” button. By posting attention-grabbing content with cute captions and a clear call-to-action, you will be amazed by how much traffic you can drive to your website or Linkin. Bio page than you could, otherwise. 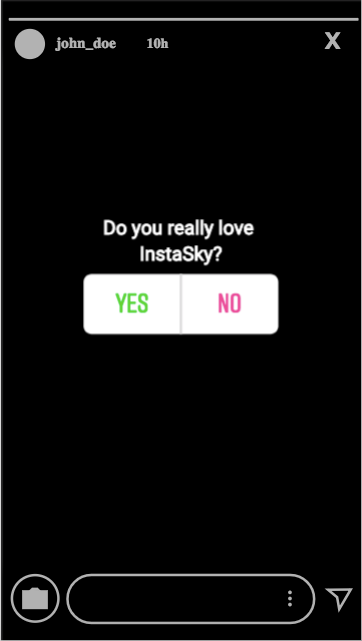 Paying close attention to the nature and dynamics of your digital audiences through the Instagram Stories Polls is both a secret and a strategy that many of the big business names understand. Since an unshared focus on your content is something you want to achieve with your Instagram followers, it is crucial to "you explore" every possible feature they will attract new readers to your content. This explains why Instagram Stories is such an essential part of the traffic-generating strategy. From takeovers to behind-the-scenes interviews and listicles, you don’t want to take the backseat on Instagram Stories’ trends. It’s an open secret that videos on Instagram are likely to get more engagement than the regular photo posts. However, many businesses don’t even try creating video content. Hence, they miss out on this vast opportunity. Your ability to create appealing videos and to convert the video views into website clicks is a skill worth considering. The starting point, nevertheless, is in creating awesome videos that people will love to watch – like Mashable. Moreover, like many other leading publishers, Mashable uses Linkin.bio to create custom, clickable links for each of their Instagram post. It would help if you considered it too. A good Instagram caption is one that creates context, adds personality, and motivates your followers to take action, and many publishers on Instagram are gradually mastering the art of this tremendous attention-grabbing tool to break up blocks of copy on the platform. As a publisher, using relevant quotes in your captions does not only grab the attention of your followers, it also offers a practical approach for driving clicks back to the link in your bio. 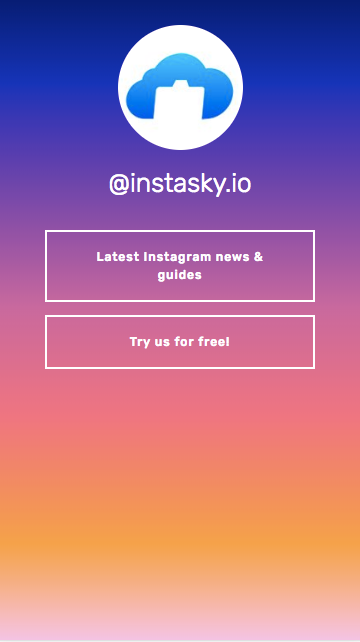 You can always use InstaSky BioLink page if you need to have more than one link at the same time. Great if you are trying to send traffic to different pages. - Add some powerful statements, quotes or humorous reflections to you can draw readers in and capture their interest. - As soon as you’ve achieved that, include a short “Call-to-Action” that instructs the viewers to “Read the full story in our bio,” which will, in turn, drive traffic to your website. Since the launch of Instagram Stories in 2016, different businesses have jumped on its bandwagon – the Instagram Stories Highlights. You, too, should consider joining the wagon; if you haven’t entered already. However, rather than merely using Instagram Stories’ Highlights to advertise your products like some businesses are doing, you may want to consider using it to drive traffic to your featured articles. The use of this fantastic tool to drive traffic is a great on-trend strategy that several multimedia-based publishers are now considering – creating massive awareness and driving enormous traffic to their contents through Instagram. So, instead of merely asking viewers to scroll up to read an article on your profile, creating multiple Instagram Stories can be more rewarding than you may have imagined. You can make viewers tap through each of those stories to click-through to the article on your website. Now that you know these simple Instagram tricks and proven strategies to drive traffic to your publications through Instagram Stories, it is time to grow your business! You can schedule stories with our app and plan them well ahead so you always reach your audience at the right time.